Planning a wedding? Try our burlap wedding favor bags. You will love how simple and inexpensive these are to pull together. You can add anything you like to the inside of these small burlap drawstring bags. 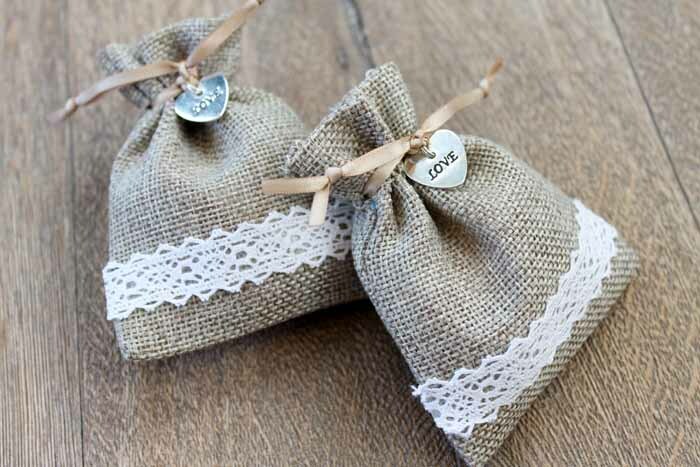 You will love the look of burlap and lace together in these adorable favors. 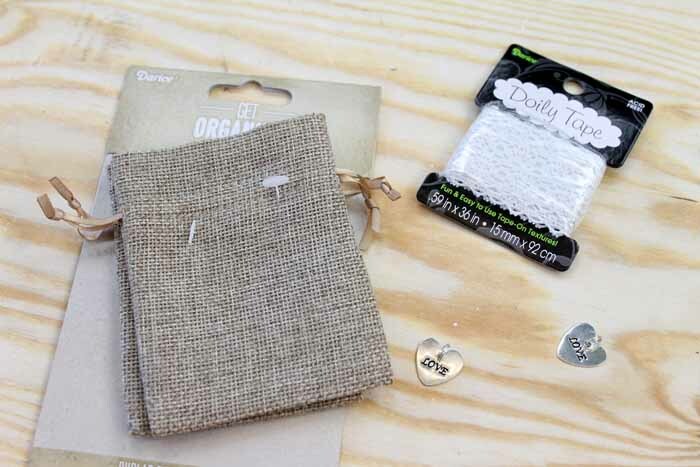 Ready to make your own burlap wedding favor bags? Just follow along with the video below on how to make your own. Can’t watch the video or missed some of the steps? Just follow the instructions below. Cut the doily tape to the correct length with scissors. Peel the backing off of the doily tap and secure to the burlap bag. Add in the favor of your choice (we used mints). Pull the drawstring and tie in a double knot. Thread your ribbon through the love charm and tie again. 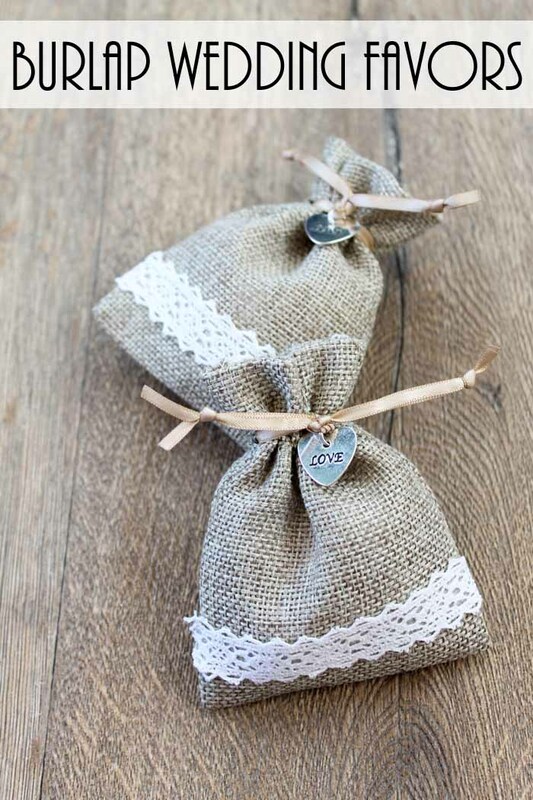 Your burlap wedding favor bags are ready for your big day! 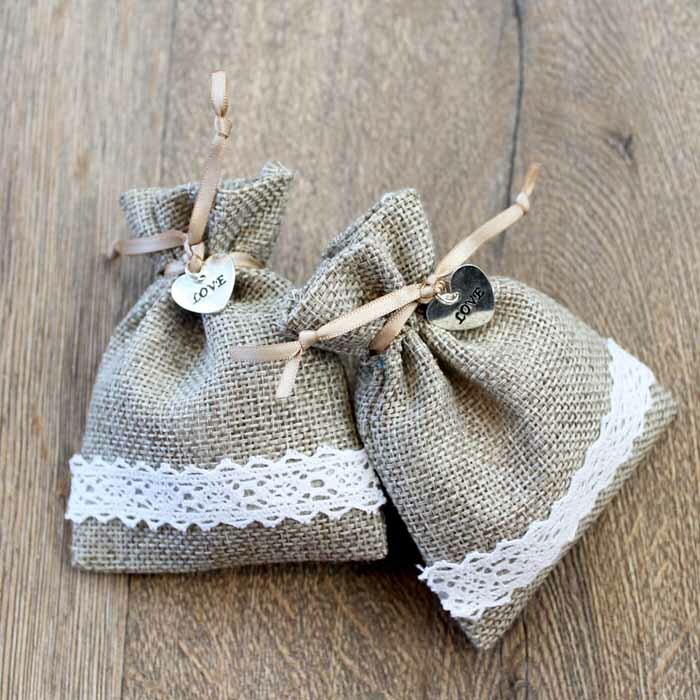 Make these burlap wedding favor bags as a simple token of appreciation for your wedding guests. I love how simple and pretty these are! They are easy to make and perfect for a rustic wedding. previous post: Meal Planning App – a free way to plan your menu! next post: Old Fashioned Homemade Lemonade for One!